-Have you heard of the “Blockchain”, but wondered what Blockchain is? -Are you wondering what the difference between the Blockchain technology and the Internet? -Curious how digital currencies (like Bitcoin) and the Blockchain are related? You’ll be ahead of the curve if you learn now how the Blockchain will impact you and your business and your life. Are you ready for Your Beginners Guide to Blockchain? During our time together, you’ll learn why Blockchain isn’t a fad and how it’ll have wide-reaching implications in every aspect of your life and business. We are amidst the early stages of a historic transformation which in the near future will impact every aspect of you conducting business! If we don’t become familiar with Blockchain, at least on a basic level: how it works and its terminology, it will be much more difficult for us to assimilate it into our businesses and lives. Come join me and other like-minded business owners and professionals who are seeking to understand the purpose of the Blockchain in a fun, interactive, and simple fashion! You’ll walk away with a foundational awareness of the Blockchain technology to advance your life and business. Dave Rebro is an Amazon #1 Bestselling Author and Practicing Expert. 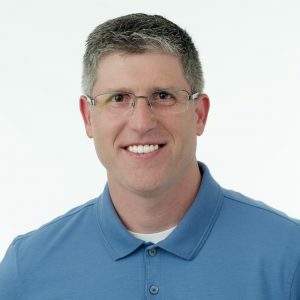 He works with Solopreneurs, Small Business Owners, Groups and Associations who are looking to go from technology frustration, confusion, and overwhelm to technology knowledge, comfort, organization, and efficient workflow management. Bottom line: achieving desired results. Dave has been dubbed a “Technology Therapist”. His passion is to take a holistic approach to his client’s technology anxieties, frustrations, and overwhelm, and find solutions to best fit the way they think, learn, and work to help them reach their business and life goals. 28 plus years of technology knowledge and business workflow experience has contributed to Dave’s expertise is simplifying technology and making it easy for people to understand and use. Although experienced in many technologies, Dave Rebro is an Apple Certified Support Professional/Integrator and Certified Evernote Consultant. Offline, Dave has been the featured speaker at various business and associations meetings and events. He also co-leads the Downstream monthly open and interactive discussion group for growth-minded business owners and professionals. You can find Dave teaching several hands-on technology workshops throughout the Midwest. Click on the “I’m going box” to register now. You’ll reserve your seat to network with other authentic relationship builders. Bring plenty of business cards and brochures to share! relationships at your table while Lunching. 1:25 – End… or stick around to build relationships! Your attendance means you accept being shown on tape. You’ve heard of house-flipping…try Mind-Flipping! – Do you have an improvement “Wish List” for your business as you do for your home? – Could your business “habits” use updating and improving? – Are you ready to multiply the value of your business? Just as the homes we live in become outdated, and in need of repair and renovation, so can our businesses. What part of your business is leaking profits? Any mold remediation needed to get your business looking and smelling it’s best? Whether it’s managing stress, feelings of overwhelm, lack of confidence, or any other thought, feeling or activity related to our business, our mindsets have the greatest impact, positively and negatively, on our bottom-line. Learn to direct and harness your mind, and your business and life will never be the same. In this Mind Flipping presentation, discover how a mind-makeover is the fastest way to a business you’re proud to call your own. Hypnotist and Trainer Rick Paddock will share the power of the mind through demonstrations, stories, and strategies that you can use immediately to improve the results you see in your business and life. Learn to release life-long pests as well as those that only recently have snuck in through the cracks of your business foundation. Your best business and life is only a mind-flip away! Rick Paddock is a Certified Hypnotist and Trainer with the International Certification Board of Clinical Hypnotherapists, is a member of the International Medical & Dental Hypnotherapy Association, is a Certified Coach and Meditation Instructor. In addition to presenting at Hypnothoughts Live, an annual conference in Las Vegas, NV and the 2018 Virtual Hypnosis Convention, Rick is the Producer and Host of the Mind Flipping podcast. Rick sees clients privately and certifies hypnosis students in his New Berlin, Wisconsin office, as well as by telephone, or online. He is the author and producer of over 100 successful personal improvement products enjoyed by thousands, including books, audios & video programs. Special Tele-Presentation from Bridget Matthes at TriNet. – Are you confused by all the mythology around Diversity and Inclusion (D&I) – myths like, “Diversity is only about non-majority people,” and “Diversity is a win/lose proposition”? – Does your growing business suffer from “diversity debt”? As a small business owner, if you think, “Diversity and inclusion don’t apply to me. It’s only for big businesses,” you’re wrong. The practice of Diversity & Inclusion (D&I) applies to everything we do – from internal processes and procedures to interactions with clients to customer sales and interacting within our communities. Navigating the complexities of D&I can be daunting. It’s easy to be afraid of saying or doing the wrong thing, but avoiding D&I isn’t a solution. Businesses often “do diversity” because it’s the “right” thing. The truth is, it’s the only thing. When we look at diversity broadly – the influences, experiences, and education that create our unique perspectives in the world – it becomes obvious diversity is a part of every interaction we have. Not only do diversity and inclusion permeate every area of our lives, but both are essential to building a successful, thriving business. If you’re interested in connecting to clients, customers and employees in a more meaningful way, then join us to learn how to begin building a more inclusive business culture. Susan McCuistion is a cultural practitioner and creator of Compassionate Diversity®, which integrates concepts from the fields of intercultural competence, emotional intelligence, leadership, neuroscience, and more into powerful tools for change. Compassionate Diversity® uses three interrelated concepts – Comprehension, Connection, and Compassion – to help build empathy and create an action plan for addressing the historic and systemic issues that are a part of our current world. 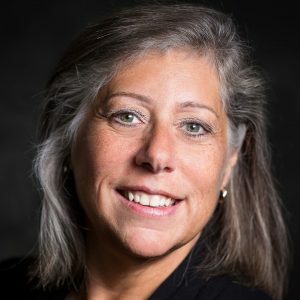 Susan offers 25 years of human resources consulting and training experience, together with specialty skills in national culture and subculture, and diversity best practices. RSVP AT https://www.meetup.com/wisconsin-business-owners/events/255251690/ Click on the “I’m going box” to register now. You’ll reserve your seat to network with other authentic relationship builders. Bring plenty of business cards and brochures to share! Last, and certainly NOT least: Jamie Shibley helps you show your gratitude with class! App-Solutely Keep Your Customers Coming Back! How are you informing your clients of what’s happening in your business? Are you keeping your clients engaged? With all the competition, how to do you stand out and keep your clients coming back? There is so much competition today and retention of clients is a growing problem. You need to be different, give your clients a great experience, and stay on top of their minds. What if you could grow your business through your current client base and get more referrals? During our time together, you’ll learn how to easily keep your clients informed & engaged. Additionally, how to increase your retention and standout – all by leveraging technology. If you’re interested in learning more about how to keep your customers coming back for more, register now! Her client’s call her “The App Mama”. Founder of Unleashed Mobile Apps and #1 Bestselling Author, Nancy Lucchesi’s work centers around helping other entrepreneurs bring their visions to life. After several decades of business experience, primarily in sales, Nancy finds joy and satisfaction in helping other business owners succeed. She considers small businesses the heart and soul of this country and believes they play a key role in strengthening local communities. Nancy’s favorite part of her work comes when her clients succeed in growing their businesses through mobile technology. Nancy is an avid Packers fan and loves to travel, especially when it leads her to a beach. Click on the “I’m going box” to register now. You’ll reserve your seat to network with other authentic relationship builders. Bring plenty of business cards and brochures to share! Jamie at http://www.TheCardcierge.com ~ offers busy professionals a convenient greeting card service to assure they’re prepared for every occasion. Thank you, Organizers & Sponsors! Would you pay someone your hourly rate to do all those day-to-day tasks? Do you ever wonder how some business owners run several businesses simultaneously? We will explore how to: Make the shift from working “in” your business to working “on” your business and rediscover the passion for why you originally started your business. Ignite your growth engine, empower your staff (or bots), and discover a whole new set of free time. Working too hard? Presenter Kerrie Hoffman will give us the simple formulas to grow our businesses without burning out doing it. I am passionate about coaching others to reach beyond their potential in both business and life. I believe the world is about abundance, not scarcity, and people just need to understand how to tap into it. 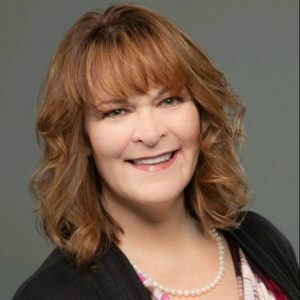 Certified Business Coach, Digital Advisor, and Speaker Kerrie Hoffman specializes in business growth and digital transformation. Kerrie introduces clients to tools, techniques and the necessary framework to drive personal and business growth. Kerrie has experience in multiple Industries where she’s worked a variety of roles including CIO, Operations, Supply Chain, and Sales. Kerrie is currently the owner of FocalPoint Business Coaching, a Hoffman Advantage LLC Company. 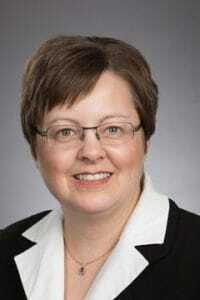 Her previous employers include Aurora Health Care, Johnson & Johnson, and Johnson Controls. Kerrie is active in the community as a Board member for the Girl Scouts of Wisconsin South East, Co-Chair of IT United, a United Way Affinity Group and previous Board member for United Way of Greater Milwaukee and Waukesha Counties. RSVP at: https://www.meetup.com/wisconsin-business-owners/events/253425429/ Click on the “I’m going box” to register now. You”ll reserve your seat to network with other business owners who are authentic relationship builders. Bring plenty of business cards and brochures to share! This is the start of the Lunch & Learn…early arrival allows more open-networking time. Whatever your Promotional Needs – Free Style Graphics has you covered! Last, and NOT least: Jamie Shibley helps you show your gratitude with class! Is the common denominator for success based on hard work? Is doing the things you like doing going to get you success? What are the habits you have that are not getting the results you desire for your business? The common denominator for success – the secret of success of every woman who has ever been successful – lies in the fact that she formed the habit of doing things that failures don’t like to do. I will introduce you to Albert E.N. Grays principles in the Common Denominator of Success speech and at the same time bring a new perspective to his speech. This one speech has changed the paradigms of thinking for millions of business owners, entrepreneurs, and sales professionals. If you are seeking the secret, don’t miss this presentation. During this presentation, you will learn the Common Denominator for Success where your success/failures reside. The 1st Principle: What is behind procrastination. The 2nd Principle: Where fear resides. The 3rd Principle: Understanding one cannot outperform one’s belief systems and Self Image. You will come away with a new perspective of what is controlling your results. 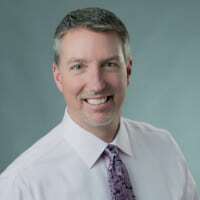 Tom has spent over 30 years in the business world as an entrepreneur, small business owner, sales management and as a regional vice president in the financial service industry. 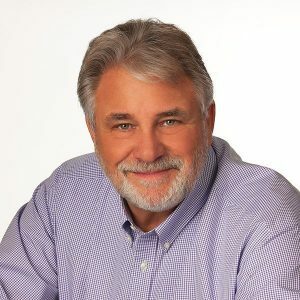 Tom is a successful entrepreneur, coach, keynote speaker, and a certified Thinking Into Results® Consultant working with the Proctor Gallagher Institute. He has also completed the Financial Coach Master Series through Dave Ramsey Solutions and takes a straightforward, no-nonsense approach to get people unstuck, personally, professionally and financially. Tom works with individuals, businesses, and organizations helping them to see what’s getting in the way of achieving desired results. The secret to achieving big results is to change the way you think. If you change the way you think, you can change your results; if you change your results, you will change your life. There is an exact science to goal achievement and all you have to do is understand the science and your whole world will change – mine did. During my journey, I experienced times of tremendous success and at other times less than desired results. I often questioned why I was stuck in this cycle. My self-worth, self-esteem, confidence, and sense of worthiness seemed to parallel this cycle. Through personal coaching, study and being mentored by Bob Proctor and PGI Tom found the Secret to “Common Denominator for Success” with THINKING INTO RESULTS which is the road map of on how to change the paradigms and habits through new awareness on how to change the negative and limiting beliefs that reside in our minds. You”ll reserve your seat to network with other authentic relationship builders. Bring plenty of business cards and brochures to share! Learn Common Denomonitors For Success, enjoy fine food and people who care about their businesses – and you and your business!